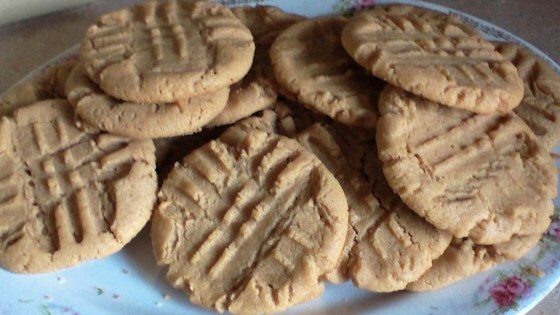 "This is an amazing no-flour peanut butter cookie. It is so easy, even kids like to make it." Your family will love these dense, no-flour cookies. Good taste...too dry for my taste. To make these cookies even simpler: 1 cup of peanut butter, 1 egg and 1/2 cup sugar 1/2 cup choc chips (optional). They always turn out fantastic! !